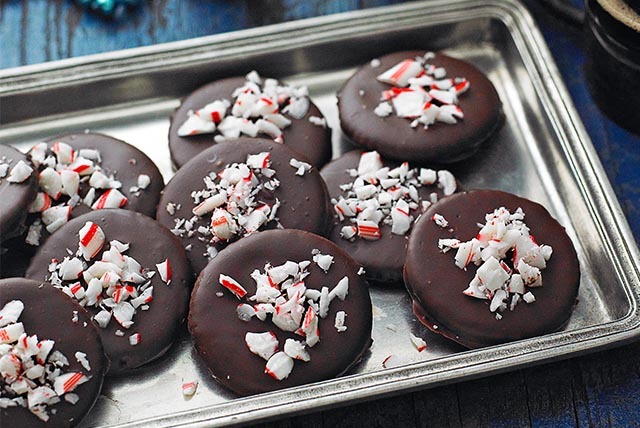 Get creative this holiday season with Thin Mint Cookies! These tasty no-bake Thin Mint Cookies only require four ingredients and 15 minutes of prep time. Dip crackers in chocolate mixture, turning to evenly coat both sides of each cracker. Carefully scrape off excess chocolate. Place crackers in single layer on waxed paper-covered baking sheets; sprinkle with crushed candy. Refrigerate 30 min. or until chocolate is firm.